Is the most popular tour around, is a hiking tour into the Manuel Antonio National Park, takes 3 or 4 hours depending of the group, the Tour Company provides you the transportation from your villa to the park and then they will bring your back, also includes water. Also our best recommendation is try to do it in a private tour, so in this case the guide will be just for you, just with a different price. Ranked as one of the Top 12 most beautiful National Parks in the World, this is according to Forbes, the Manuel Antonio National Park does offer a unique experience with it´s beautiful white sand beaches and wide variety of animals to see, you will be sure that a visit to the Park is a must to do while vacationing in Manuel Antonio, Costa Rica. The Manuel Antonio National Park is open from Tuesday – Sunday from 7:00 a.m. to 4:00 p.m. The park is closed every Monday. We recommend that when you visit the Park you stay as long as possible because if you leave soon and decide to come back the same day, you might have to wait due to the fact that they have a limit as to how many people can be inside the Park at one time. The price for Travelers from other countries is $16 per person, this option is if you are going to do a self guided hike. We highly recommend paying in Cash as there is an extra fee when you pay with a credit card. The Manuel Antonio National Park accepts U.S. Dollars & Local Colones. You will spot the office of the Park as it is located about 25 meters before the entrance. 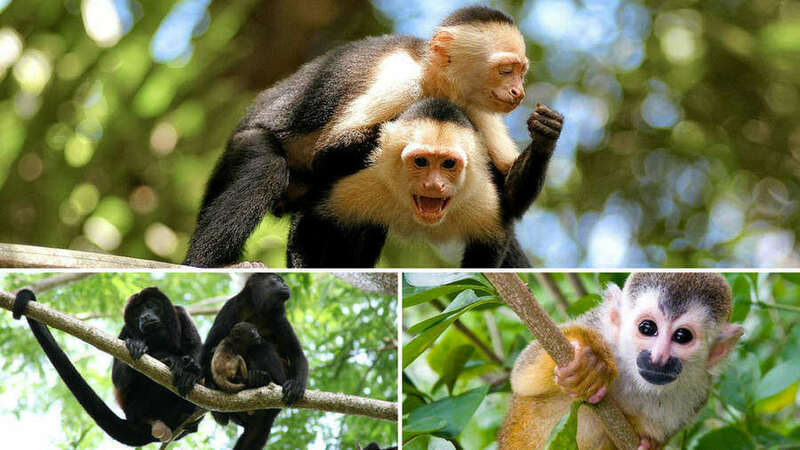 One of the most famous things about the Manuel Antonio National Park is of course the various animals that inhabit the area but it is also known for it`s beautiful white sandy beaches that provide a refreshing swim from the hike. The beaches found inside the Park are Espadilla Sur, Espadilla Norte, Puerto Escondido, Gemelas & Manuel Antonio. 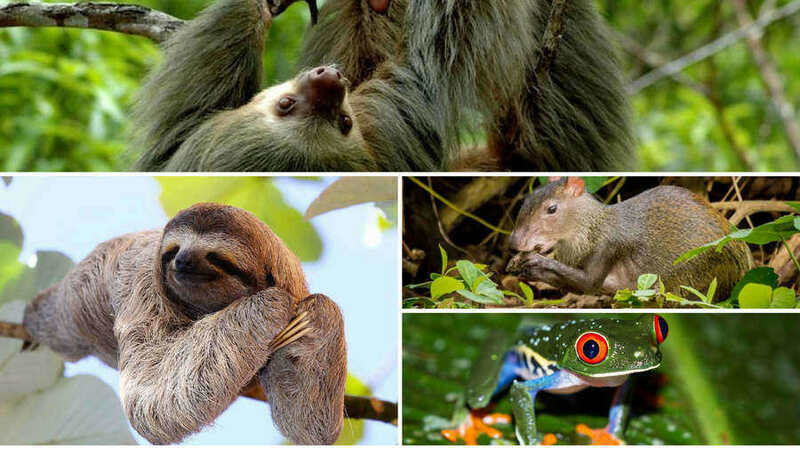 Lets talk about what is probably the main reason you are going to visit the Manuel Antonio National Park and that is to see animals. You are making a good decision because the Manuel Antonio National Park is home to 180 species of birds and 100 species of mammals, there is a lot of wildlife for you to see. The White Face, Squirrel & Howler Monkeys, 2 and 3 fingered sloths, agoutis and finally Frogs. You will get to see more animals but these are the most commonly seen. Should you hire a Guide to See Animals? Well, the short answer is Yes. Not only are the local tour guides extremely knowledgable about pretty much all of the living creatures inside the Park but they also have the proper equipment to spot animals that are very difficult to see with the human eye. 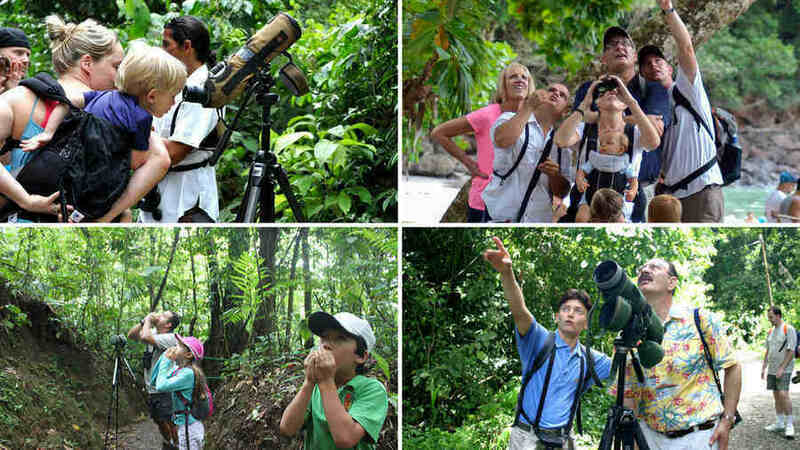 The tour guides have binoculars and telescopes which makes it very easy for them to spot animals and this is going to enhance your entire experience of hiking in the Manuel Antonio National Park. With that being said, if you are not worried or really interested in seeing that much wildlife, then we recommend not to hire a Guide and just enjoy the nature walk that the park has to offer, plus you will still see animals. The Manuel Antonio National Park has very good Signs with excellent directions so you can easily do a self guided hike without getting lost. Plus, the trails are very well maintained which makes walking inside the Park an easy task. Like any tourist place in the world there are specific areas where you will find a good amount of people and also areas where you will find very small amount of people. The Manuel Antonio National Park really has something for everyone. If you like to hang around big groups of people then we would recommend visiting at the Playa Manuel Antonio where you everyone seems to stay for the longest period of time. If you are looking for a more secluded and private atmosphere, then we recommend hiking a few of the trails to visit Punta Catedral, Congo Trails, and Punta Serrucho. 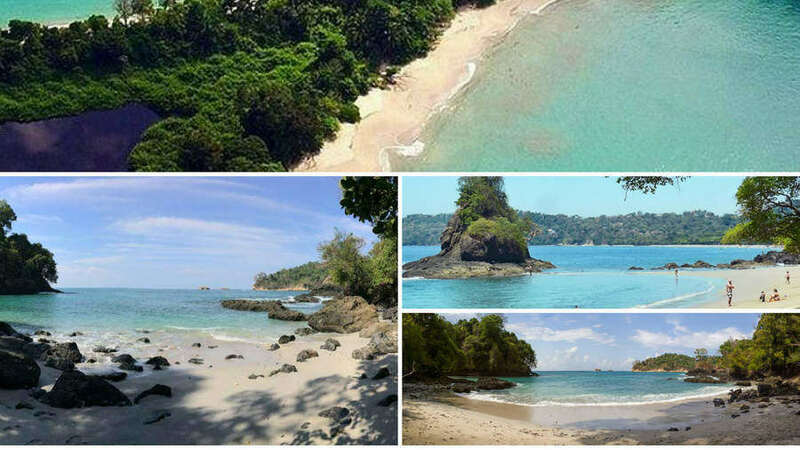 The trails listed above provide a fun hike and amazing ocean views plus very little people will be at these trails as most people want to chill at the main beach inside the Manuel Antonio Park which gives you the perfect opportunity to get away from the crowd. You are not allowed to enter the park with chips or peanuts. The park has bathrooms, showers and changing stations. If you leave the park and try to come back in you might not be able because they only let a certain amount of people at a time to be inside the Park. Please don´t walk off the trails. If you decide to hire a Guide on your own please make sure the Guide is Certified by the ICT (Instituto Costarricense de Turismo). There are several vendors outside the park entrance who claim to provide a Guide Service and they don`t have a Certificate so please stay on the look out for this.